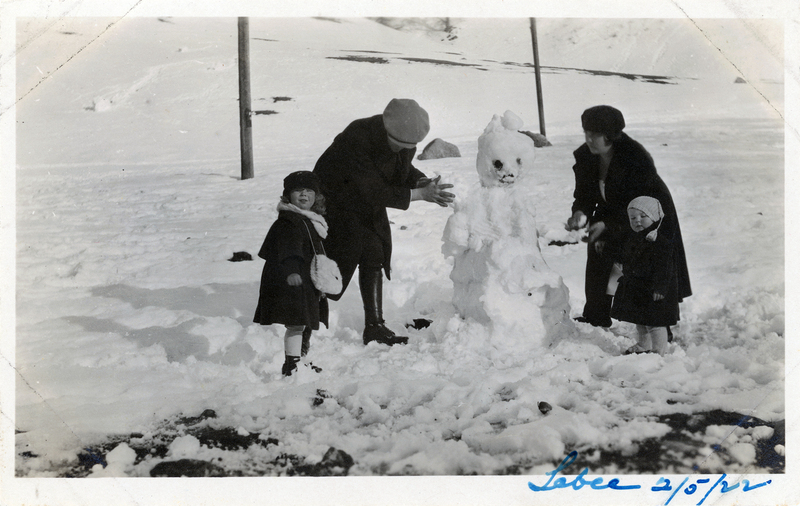 SCVHistory.com LW3170 | Lebec | Building a Snowman in Lebec, 2-5-1922. 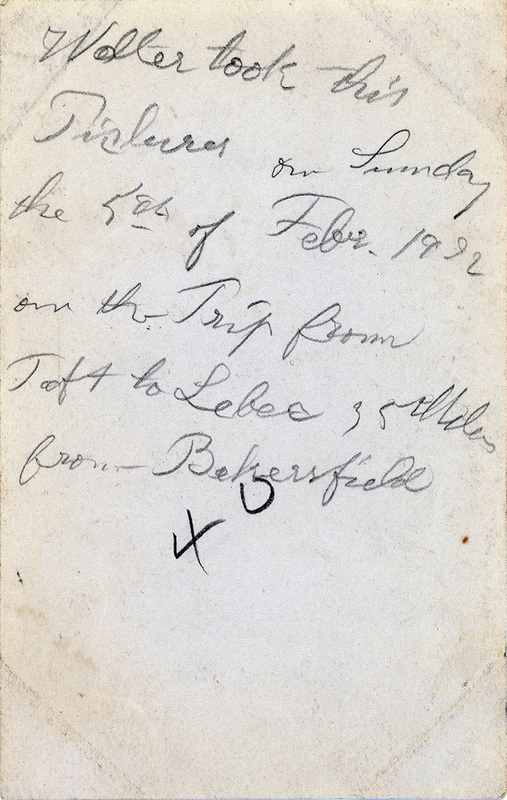 February 5, 1922 — A traveling family stops in Lebec to build a snowman. Walter took this picture on Sunday the 5th of Febr. 1922 on the trip from Taft to Lebec, 35 miles from Bakersfield. LW3170: 9600 dpi jpeg from original photograph purchased 2018 by Leon Worden.